I Mahesh Chander Kaushik is an Investor of Indian Share Market. I am a NISM Certified SEBI Registered Research Analyst My Reg no. INH 100000908 I Share My Research Reports with Other Investors as a Free Service and Hobby. This Blog Publish Research Reports for 3 Day to 3 month Positional Delivery Buying. ( Not Usefull for F&O and Intra-day Margin Trade) This Blog Not Give Investment Advice Read Disclaimer Before Follow any of My Stock Idea. 1. Elecon Engineering Company Ltd is a 2 rupee face value industrial machinery company. Security ID: ELECON Group / Index: B / S&P BSE SmallCap Face value: 2.00 Security Code: 505700 ISIN: INE205B01023 Industry: Industrial Machinery. 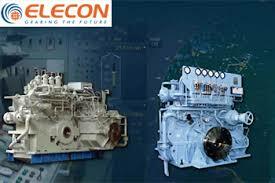 Elecon Engineering Company Ltd. was established in the year 1951 as The Pioneers in the manufacturing of Industrial Geared Motors and Reducers, Material Handling Equipment, Mining equipment, casting processes, etc. Elecon is one of the largest manufacturers of Material Handling Equipments and Industrial Gears in Asia. Elecon's recent acquisition of Benzlers- Radicon Group, belonging to the David Brown Gear Systems adds to the expertise in the manufacturing of custom made Gearboxes for Steel Mills, High-Speed Turbines, Satellites for ISRO and also for the Naval Aircraft carriers and many growth sector industries successfully. A unit of Elecon Engineering Company Ltd. which is also the 3rd largest Material Handling solutions company in the country along with in-house design, manufacturing, fabrication, component manufacturing, and support system in a Vertically Integrated Model. 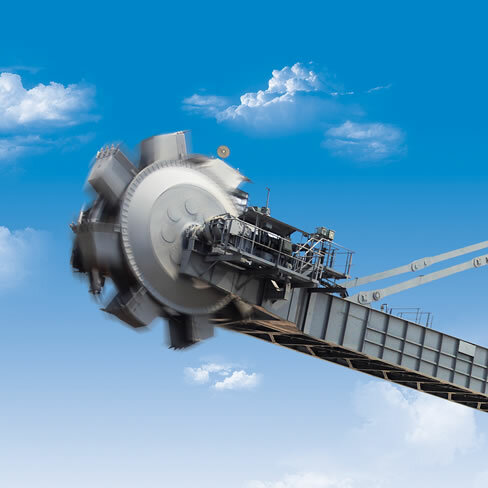 First in India to manufacture sophisticated equipment for Bulk Material Handling and a product range that caters to almost every Industrial sector in India. The product solutions include designing, manufacturing, supply, erection and commissioning. 3-FOUNDRY DIVISION Elecon's Foundry Division (EFD), is ISO 9001-2008 certified and caters to machining and foundry needs of Elecon Engineering. After five decades expertise in the industry, EFD now provides casting and machining services to several other companies other than Elecon group with its ultra modern amenities to fulfill high-quality requirements. The Ferrous and Non-Ferrous Foundry is spread over ten acres of land and has state of the art melting, molding and heat treatment and quality assurance facilities. 4-ALTERNATE ENERGY PRODUCTS: -wind power plants like Suzlon. If you read above research terms in my book, then you may know that generally, I like a stock which year high/low ratio is below 2. 3. Promoters of Elecon Engineering Company Ltd hold 58.58 % stocks. Promoters pledged their 13.31% stocks, and for sharegenius blog tips, we accept pledged stocks till 33%. FII & DII Holding In Elecon Eng. When you open above link you may note that Hdfc Trustee Company Ltd - Hdfc Core And Satellite Fund & Hdfc Prudence Fund & Hdfc Infrastructure Fund hold 7529884 stocks, So this huge DII holding indicates future performance possibility in this stock. 5. The base price of Elecon Engineering Company Ltd is 61.75 So Stock is traded almost 2% below from base price and Ready to cross his base price from downside to upside this is a strong buying indicator as per my first book "The Winning Theory In Stock Market." 6. No any bonus issue right issue and bulk deals are recorded in last 2 years. 7. Elecon Engineering Company Ltd net sale per share of FY 15-16 is 46.24. So this year 2016-17 net sale is increasing, and I think estimated net sale per share for the year 2016-17 is near 60, So recommended price is near the stock net sale per share. 9. The book value of Elecon Engineering Company Ltd is 50.14 Book value is near CMP, So this stock is traded near his book value. 8. Finally, I choose Elecon Eng for 20% plus returns in 3 months time frame. 9. 200 DMA of Elecon Engineering Company Ltd is 57.96, So at CMP 59.05 this stock recently crossed his 200 DMA and As per my 2nd book How Chandu Earned And Chinki Lost In The Stock Market these types of stocks show good movement in short time. If you read my both books, then you no need to wait for my free advice you can able to select these type of stocks by your own knowledge which is my main motto. 1. Do not be hurry up to buy and wait for price and volume stability. 2. Do not invest huge money in a single stock because I am also a human and sometimes my calculations become wrong and the price will be down so if you invest huge money then do not forget to put appropriate stop loss, in this stock case stop loss is 52 ( Closing basis). 11. Disclaimer: - This is not an advisory service to buy or sell. The contents of “this research report” are only for educational purposes. No liability is accepted for any content in “this research report.” The author is neither a registered stockbroker nor a registered advisor and does not give investment advice. His comments are an expression of opinion only and should not be construed in any manner whatsoever as recommendations to buy or sell a stock, option, future, bond, commodity, index or any other financial instrument at any time.The author recommends that you consult with a qualified investment advisor, one licensed by appropriate regulatory agencies in your legal jurisdiction, before making any investment decisions. Please read the full disclaimer at the bottom of my blog. 12.Discloser: - I Mahesh Chander Kaushik author of this research report is an existing research analyst and passed NISM certification for research analysts. I am also registered with SEBI(RESEARCH ANALYSTS) REGULATIONS, 2014 ( SEBI Registration Number INH 100000908 ) hereby disclose about my financial interest in the subject company and the nature of such financial interest:- 1 Me and my associates or relatives have not held any share of Elecon Engineering Company Ltd so my personal interest is not included in this stock. 2. Me and my associates or relatives have not any actual/beneficial ownership of one percent or more securities of the subject company ( Elecon Engineering Company Ltd). 3. Me and my associates or relatives have not any other material conflict of interest at the time of publication of the research report. 4. Me and my associates or relatives have not received any type of compensation from the subject company(Elecon Engineering Company Ltd) in the past twelve months. 5. I am not served as an officer, director or employee of the subject company ( Elecon Engineering Company Ltd). 6. I have been not engaged in market making activity for the subject company (Elecon Engineering Company Ltd). My besstselling book publish from USA"The winning theory in stock market"
Past Performance of My Sharegenius Multibagger Stocks App Recommendation.